Caraway - Carum carvi is a hardy biennial herb native to western Asia, Europe and Northern Africa. Commonly known as the 'Meridian fennel' or 'Persian cumin', it is an aromatic plant with ferny, mid-green leaves which are similar to that of a carrot - to which it is related. Dried caraway seeds are used in flavoring cakes, breads, salads and cheeses, but can also sprinkled on lamb and pork before roasting. 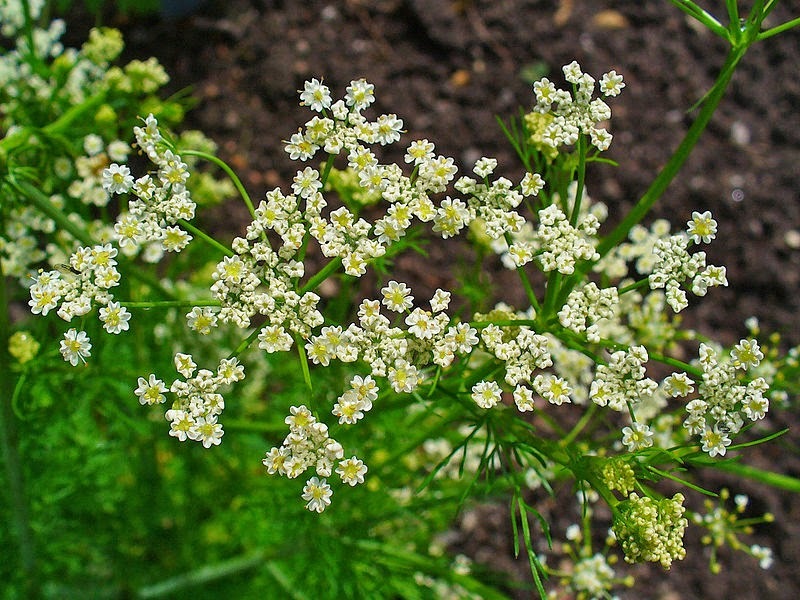 Caraway will grow in any fertile, well-drained soil, preferably in full sun. Note that caraway is only grown for its seeds so there is no need to apply fertilizers or top dressings during cultivation. In order to produce the largest plants and therefore crop the most seeds, sow caraway seeds in September to make the most of the following years growing season. Alternatively, and in case you miss this sowing time, you can have an additional sowing in March. Sow the seeds directly into their final position into shallow drills 12 inches apart and ½ inch deep. Germination can be sporadic but once the seedlings emerge they can be thinned out to one plant every 8 to 12 inches. The soil will need to be kept moist but not waterlogged and avoid getting the foliage wet. The seeds are ripe when they turn a rich deep brown color. At this point cut the plant down to ground level and tie the stalks into bundles, and then place each bundle into a brown paper bag to dry for a few days. Shake the bag to remove the seeds and then pour into a fine sieve to remove any dust. 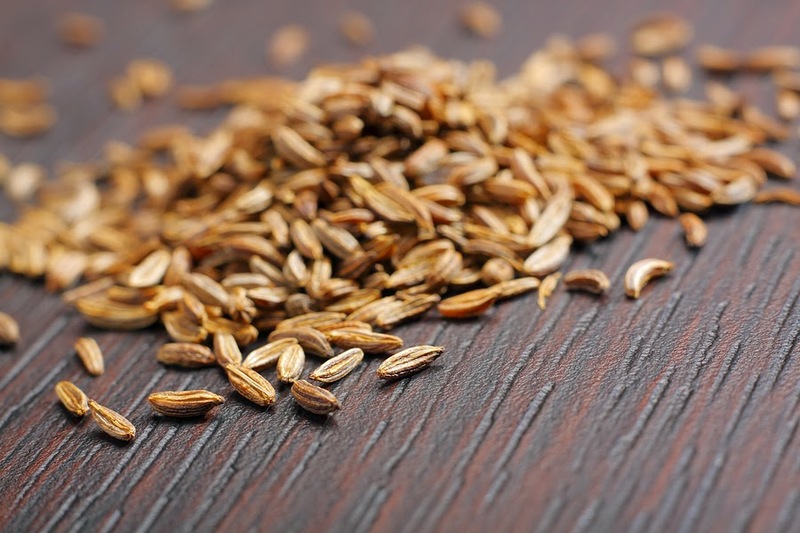 With regards to pests and diseases the caraway plant is generally trouble-free.